Travel and make a sustainable difference. A great project to keep you active, fit, and creative. Bring all your creative elegance to renew and build beautiful structures for children and local communities. Join us on this beautiful island to take part in construction and renovation project to develop infrastructure for the local community and also for the school children. Renovate or build parks, playgrounds, classrooms, kindergartens and more. We have initiated the construction project to support the local community by sheltering those in need and start reconstructing of what has been lost during the cyclone disaster. 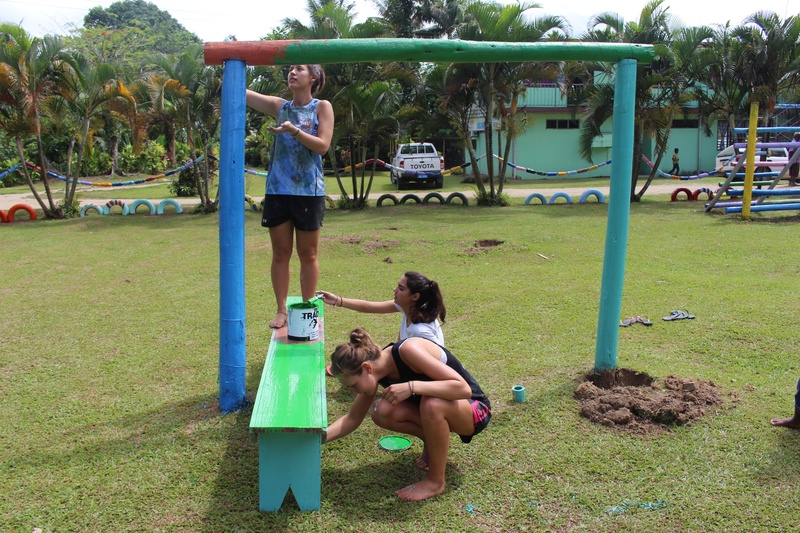 This project is based in the Sigatoka area, and is a fantastic opportunity to provide tangible benefits and assistance to the local community in general, and schools in particular. Bring out your carpentry skills and participate along with the local community in the construction project. 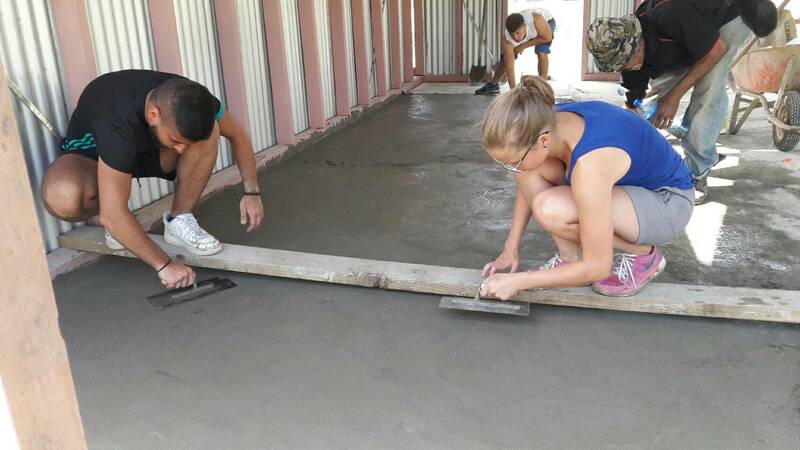 In addition to the basic project, you may also take part with landscaping the surrounding area, painting local schools, and renovating classrooms. Many of the schools we work with do not have the funding to renovate their classrooms or build libraries and resource centers, and this is where you can participate. In the past, we even built a library for village school. In many areas of Fiji, thousands of families live in inadequate accommodation and children attend school in crumbling buildings. Our construction project allows them to move to new, better quality homes and for the children to receive an education in secure, new classrooms. On an average, you will be working for about 6 hours a day on the project. On Monday, you will start planning the project with the coordinator assigned to you, after having breakfast. Once you plan the project and receive the relevant information, you can have lunch and then leave to work at the community location. Once your work for the day is complete, you can then return to the center and attend a meeting where you can provide feedback regarding the first day at your placement. From next day onwards after having breakfast you will be taken to the project site and assigned with planned tasks for the day. The coordinator’s support will be around you during the day and throughout the project. 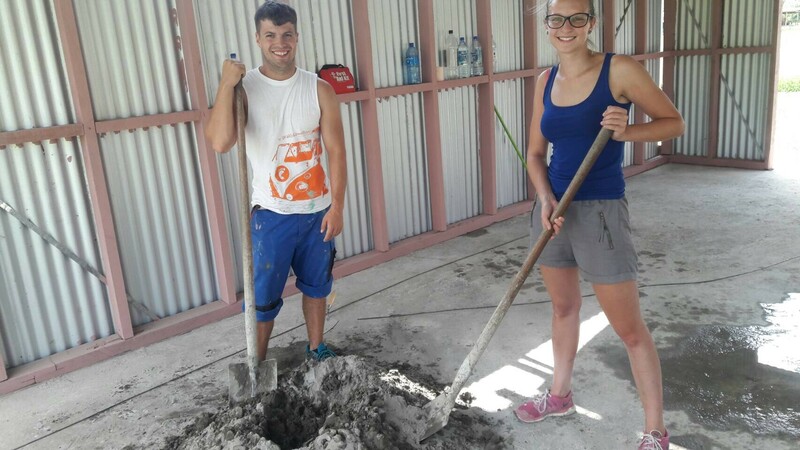 Then, in the afternoon after lunch, you will work at the community location where you will continue with construction and renovation activities and finish your day’s work at 2:30. Your day will begin a bit early. You will be taken to our project site and assigned with particular tasks for the day. A coordinator will be around you during the project. After lunch, you will work at the community location where you will continue to do construction and renovation activities. Participants of most nationalities can obtain the visa upon arrival in Fiji. If your nationality requires you to obtain a visa prior to arrival in Fiji, contact your nearest Fijian Embassy. The Visa is granted depending upon the purpose of travel. You can apply for a tourist/visitors or short term permit as well. The short term permit needs to be applied before you enter the country which takes up to 10 working days to be approved. This program starts every week. Arrive on Saturday or Sunday, to begin at the project on Monday. Due to the active nature of this program, a decent level of fitness is required. The fee you pay to provide community support in Fiji goes to our 501(c)(3) non-profit public charity, The GeoVisions Foundation. The program donation for this experience covers our costs of placing you on the program in a safe location. The fee helps our non-profit to provide your accommodation, meals, insurance, pre-departure & in-country support. We provide 24/7 emergency service, supported by real people. You are supported from the moment you contact us to the time you return … and beyond, through our active Alumni Community. Be sure to speak to your tax preparer to see if any of these fees can be deducted as a charitable donation. The project location is one and half hour drive from Nadi and is Fiji’s adventure capital. The location is perfect, sitting along a beautiful stretch of coastline, on the Southeast coast of Viti Levu, and a three hour drive from Suva. The area lives up to its reputation as a spot for adrenaline junkies, offering a wide variety of activities to get your heart racing, from surfing and shark feeding to four-wheel-drive tours. For a more laid-back experience try a round of golf on the championship course, or enjoy a spot of fishing. Offering lush rainforests, rivers and waterfalls at your back door and a beach looking across to Beqa Island which is world famous for fire walking. You will stay at our center which is located in the Sigatoka area, yet can vary depending on the project. You will stay at our center which is dorm style with your own bathroom. There are refrigerators at the accommodation for your convenience. We serve breakfast and dinner at the normal time during the weekend. Breakfast is western style and lunch and dinner are typical Fijian style. An experienced U.S. based GeoVisions Program Manager who will serve as your coordinator and liaison with our in-country staff in Fiji. Professional, locally-based staff to provide orientation, supervision and guidance throughout your stay. Travel and accident insurance along with emergency evacuation insurance for US permanent residents. Important documents, including in-depth pre-departure packs, orientation information, and all in-country informational materials. A toll-free 24-hour emergency hotline in the U.S.
Local transportation outside the normal transit to the daily project. Please call us on +1 (203) 453-5838 if you have questions. We are asked the same questions each day, so we hope this page of Frequently Asked Questions will be helpful to you. Anyone in our office can answer your questions anytime you call. We want you to made informed decisions and we will be happy to talk to you anytime. It’s one and half hour drive from Nadi and is Fiji’s adventure capital. The location is perfect, sitting along a beautiful stretch of coastline, on the Southeast coast of Viti Levu, and a three hour drive from Suva. What facilities are available near the project? During my free time, what places can I see? What more should I know about Fiji? On 20 February 2016, Fiji was hit by the full force of Cyclone Winston, the only Category 5 tropical cyclone to make landfall in the nation. Scores of homes were destroyed and at least 43 people have been reported dead. Fiji was first settled about three and a half thousand years ago. The original inhabitants are now called "Lapita people" after a distinctive type of fine pottery they produced, remnants of which have been found in practically all the islands of the Pacific, east of New Guinea, though not in eastern Polynesia. Linguistic evidence suggests that they came from northern or central Vanuatu, or possibly the eastern Solomons. Before long they had moved further on, colonizing Rotuma to the north, and Tonga and Samoa to the east. From here, vast distances were crossed to complete the settlement of the Pacific to Hawaii in the north, Rapanui (Easter Island) in the east and Aotearoa (New Zealand) in the south. This may have been due to the arrival of fresh waves of immigrants, presumably from the west. Pre Historians have noted that a massive 12th century volcanic eruption in southern Vanuatu coincides with the disappearance of a certain pottery style, and its sudden emergence in Fiji. It is hardly surprising then, that the Fijian culture is an intricate network and that generalisations are fraught with danger. Although the legendary king of Bau, Naulivou, and his successors had control over a large area of eastern Fiji, at no time before colonization was Fiji a political unity. Nevertheless, Fiji does exhibit certain traits that sets it apart from its neighbours, and it is this that defines a distinctive Fijian culture. What do I do when I arrive? How do I get to the project? - Nadi International Airport (NAN). Land on Sunday to be met upon landing. (6:00 to 18:00). Participants arriving on Saturday need to book one extra night at our accommodation. No pickup included. Make your own way to us, or arrange pickup at extra cost. Arrive in Sigatoka on Saturday or Sunday prior to your program start date (6:00 to 18:00). Please see below for instructions. What about my departure? How do I get back to the airport? Due to the many different personal plans and return flight times people have, we have found it logistically simpler to send participants to the nearest bus station and allow them to make their own way; whether it is to do more travelling or return to the airport. We do not cover your transfer costs to the airport. If leaving at a different time please confirm the leaving procedure to the country manager. Leave the accommodation Saturday morning. Take a taxi to Suva (30 minutes) or Nadi (approx 4 hours) airport. Leave the accommodation Saturday morning. Take a bus or taxi from Sigatoka to Nadi airport. Leave the accommodation Saturday morning. Take a bus or taxi from your accommodation in Nadi to Nadi airport. We provide vegetarian and non-vegetarian food, which usually are basic, clean, local healthy foods. We also keep your allergies in mind and we recommend you not to eat food from the streets. Bottled water is the safest drinking water. We provide 3 meals in the weekday and 2 meals on Saturday, Sunday and Public Holidays. What should I bring with me to Fiji? Clean clothes and some formal for formal occasions. These are just the basics and if you need anything you can purchase here. Here are a handful of photos to give you a sense of this program. You can also find more photos, stories, and video through our Facebook Page, Instagram and YouTube channels and our Blog. As you view more photos and video, consider the program benefits. Becoming more independent and confident. 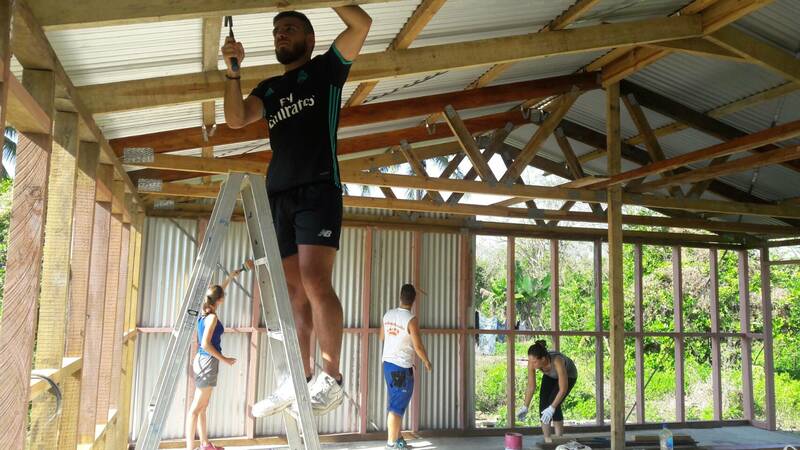 Add an international reference to your resume which helps with future job applications because of your experience of providing community support in a community in Fiji and you're ahead of the game. You can expect to be working around 6 hours a day. This activity is fun and we support your creativity during the process. 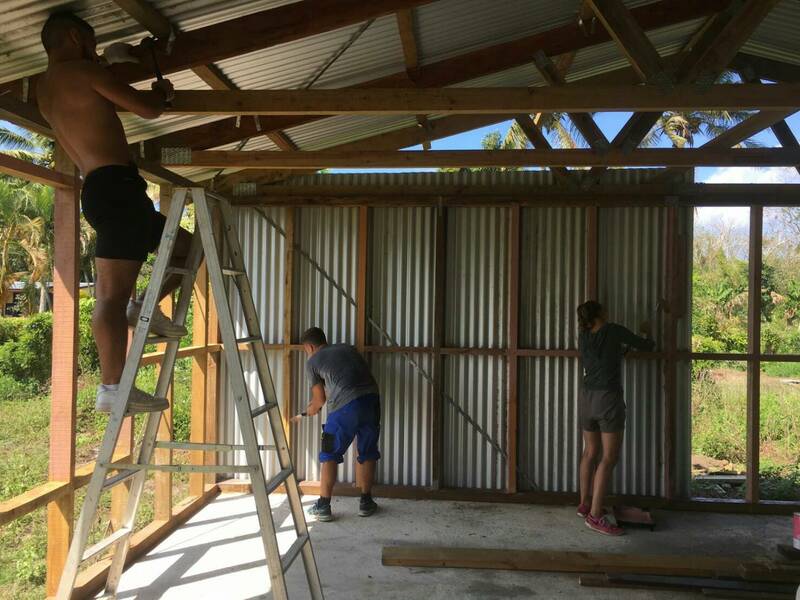 Renovation and construction in Fiji. Build and renovate buildings that are essential for the growth and development of the local community. There are several planned tasks for the day. The other side of this project involves a more artistic and relaxed environment.